Materials with approvals and/or conformity tests for special applications (gas, drinking water, foodstuffs) are available, as required. O-rings are closed circular rings of circular cross-section. They are made through vulcanisation from form tools as a complete ring. 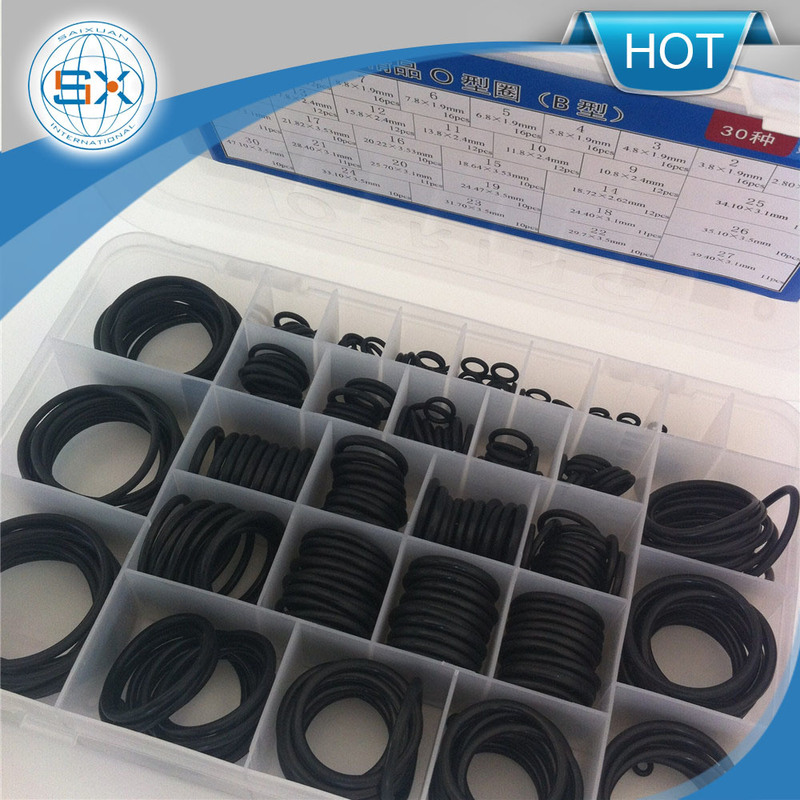 The sealing function of the O-ring is achieved by the deformation of the cross-section when installed and compressed in its housing. The O-ring can be compressed either radially or axially in its installation housing. In operating conditions the pressure exerted by the media reinforces the sealing function, as under pressure the elastomer material functions as a non-compressible fluid. O-rings are used predominantly for sealing non-moving machine and system components (static application) and media in liquid and gas form, e.g. flange and cover seals, threaded tube connections and the cylinder head and cylinder bottom for hydraulic cylinders. Under certain conditions it is also possible to use O-rings with reciprocating, rotating and helical movements (dynamic application). If the installation housing is finished properly, the construction design is right and the proper materials are selected, it is possible for pressures of up to 1000 bar to be sealed, with the use of back-up rings, where required. O-rings are used in many sectors, such as the fields of hydraulics, pneumatics, vacuum applications, the fittings industry, the automotive industry and in plant and mechanical engineering. The installation housings (grooves) for O-rings should if possible be produced with right angles and should be processed with care. Burrs, scratches and notches should be avoided. The dimensions for the required depth and width of the groove depend on the particular application and cross-section. You will find recommendations for construction and dimension tables in our O-Ring Catalogue. To facilitate installation, a variety of surface coatings can be supplied on application. To ensure sound sealing effect, O-rings should be selected to offer the largest possible cross-section. The hardness of the O-ring material selected depends on the pressure, gap widths, type of sealing (static/dynamic) and the surface quality of the machine parts. For standard applications we recommend a material hardness of 70 Shore A. Careful consideration should also be given to the correct compression, elongation or compaction and the degree to which the groove in the installation housing is filled. Good resistance to hot water and steam, detergents, caustic potash solutions, silicone oil and greases, many polar solvents, and many diluted acids and chemicals, along with a high level of ozone resistance. EPDM materials are totally unsuitable for use with all mineral oil products (lubricants, fuels). Good chemical resistance to mineral oils and greases, synthetic oils and greases, engine, transmission and ATF oils to approx. +150Â°C, fuels, non-flammable hydraulic pressure fluids HFD, aliphatic, aromatic and chlorinated hydrocarbons, water to max. +80Â°C, excellent resistance to weathering, ozone and ageing, very low gas permeability (and therefore excellent for vacuum application) and resistance to a wide range of chemicals. HNBR is obtained by fully or partially hydrogenating NBR. It leads to considerable improvement in resistance to heat, ozone and ageing, and gives it very good mechanical properties, e.g. good resistance to wear. The media resistance compares to that of NBR. HNBR has a good resistance to some refrigerants. 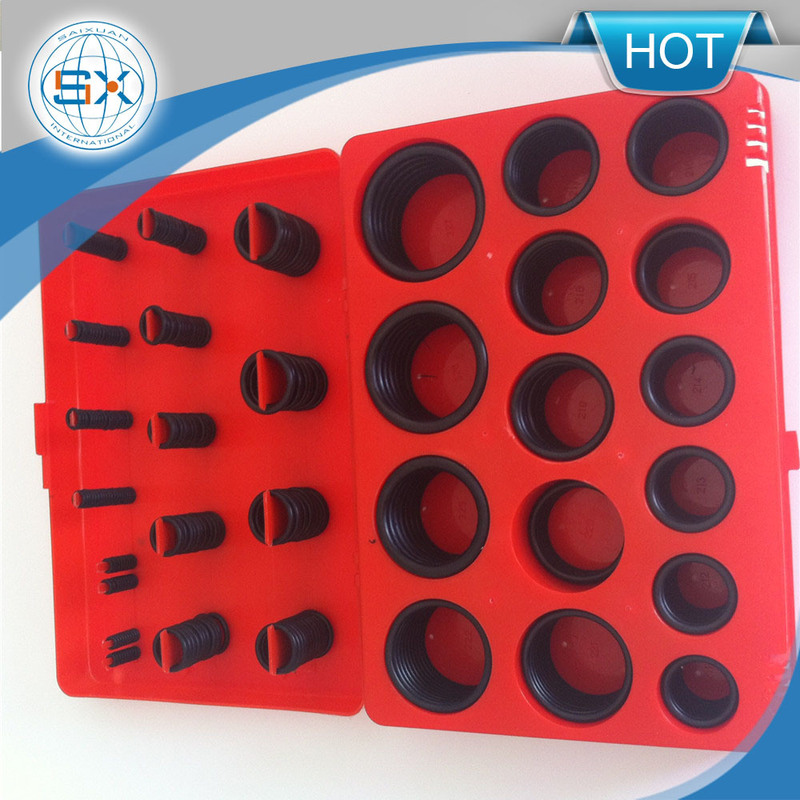 The temperature application range is from -30Â°C to +150Â°C. Good resistance to water (up to 100 Â°C), aliphatic engine and transmission oils, animal and plant oils and fats. VMQ is generally not resistant to fuels, aromatic mineral oils, steam (short term up to 120 Â°C possible), silicone oils and greases, acids and alkaline compounds. -Â The O-ring must not be expanded to its elongation limit. -Â Edges must be burr-free, radii and angles applied smoothly. -Â Dust, dirt, metal chips and other particles must be removed. -Â Tips of screws and installation housings for other sealing and guiding elements should be covered by an assembly sleeve. -Â A suitable grease to be applied to the assembly surfaces and O-rings. -Â Elastomer materials are made smoother if they are heated in oil or hot water to approx. 80 Â°C. This makes it easier to stretch the O-ring for assembly. -Â Any assembly tools used, such as expansion mandrels or sleeves, should be made of a soft material (e.g. POM) and not have any sharp edges. -Â The O-ring should not be rolled over assembly surfaces. Ensure the O-ring is not twisted as it slots into the groove.